Widely acknowledged as Carlos Fuentes’s most ambitious novel, Terra Nostra is a paradigm-shifting work that has generated a virtual cottage industry of scholarly analysis. Michael Abeyta has now taken a new approach to this celebrated novel by considering how giving a gift is like telling a story. Grounding his study on the work of Derrida and Bataille, Abeyta focuses on the theme of the gift in Terra Nostra, analyzing how gift giving, excess, expenditure, sacrifice, and exchange give shape to the novel. The question of giving leads him into contemplations of such parallel issues as money and exchange economies, the gift’s role in art and narration, and the Baroque in Latin American culture—an elaborate set of arguments that puts Fuentes’s understanding of Latin American culture in a surprising new light. Blending literary theory with economic anthropology, philosophy, and Latin American studies, Abeyta analyzes the deconstructive functions of rhetorical figures and tropes in Terra Nostra to show how the novel’s revival of Baroque style integrates European and Nahuatl figural strategies. In the process, he reveals the novel’s relevance to current discussions about the relationship between art and the question of the gift. He then goes on to examine Fuentes’s Baroque in relation to Terra Nostra’s reconfiguration of Latin American cultural history. Abeyta’s study opens new windows on this difficult work as he grapples intelligently with the sometimes dizzying conceptual dances that Fuentes performs. He shows how Fuentes’s rereading of Latin American history confronted important changes during the initial encounter between Europe and the Americas, which coincided with the spread of the European market and the shift from a gift to an exchange economy—from a culture in which economic relations were based on sacrifices, tributes, or gifts to one in which market forces predominated. He also engages in the recent scholarly debate on the potlatch and its implications in New World culture. As Abeyta reveals, underlying Fuentes’s treatment of the gift is a deep questioning of utopian thought and its impact throughout Latin America’s history. 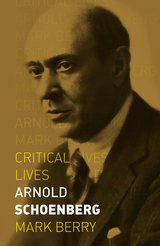 His insights help define Terra Nostra’s place in current discussions in literary theory about art, economy, and the question of the gift, and this work stands to be hailed as one of the most perceptive readings of the novel yet to appear. Enacted in 1954, the Food for Peace program allowed the United States to make agricultural surpluses available to needy nations but served varying political agendas. President Eisenhower saw it primarily as a temporary means for improving domestic agriculture prices, while his two Democratic successors turned it into the cornerstone of an expanded foreign assistance program. Kristin Ahlberg traces the transformation of Public Law 480 from a means of liquidating domestic surplus into a vital component of U.S. foreign policy. She focuses on how Lyndon Johnson sought to re-create his Great Society reforms on a global scale by exporting programs designed to improve the lives of world citizens through combating food shortages—and how he also wielded Food for Peace as a diplomatic tool to gain support for U.S. policies and to reward or punish allies for their behavior. LBJ sought to demonstrate America’s commitment to the less fortunate while providing a deterrent to those impoverished nations most vulnerable to communist influence, and the White House maintained control of the program’s objectives on a country-by-country basis while leaving its implementation to the bureaucracy. Ahlberg describes these foreign policy maneuvers as well as the domestic battles that found farm nationalists like Senator Allen Ellender opposing Johnson and Secretary of Agriculture Orville Freeman—and also found the Department of Agriculture, Department of State, and Agency for International Development vying for control of the program. Ahlberg draws on recently declassified sources to show how the Johnson administration used Food for Peace to win diplomatic support for American policy in Vietnam, prevent nuclear proliferation on the Indian subcontinent, and uphold Israeli security. When India diverted resources from agriculture to arms, Washington suspended wheat shipments until New Delhi reordered its priorities. But in the case of Israel and South Vietnam, LBJ used food aid to help client governments build up their militaries—as well as to win the “hearts and minds” of the Vietnamese people. Transplanting the Great Society is an insightful study that shows the successes and limitations of using food aid as a diplomatic tool during the middle period of the cold war. It paints a broader picture of Johnson’s foreign policies, opening a new window on both his administration and postwar diplomatic history. Mother Imagery in the Novels of Afro-Caribbean Women offers an overview of Caribbean women's writings from the 1990s, focusing on the personal relationships these three authors have had with their mothers and/or motherlands to highlight links, despite social, cultural, geographical, and political differences, among Afro-Caribbean women and their writings. Alexander traces acts of resistance, which facilitate the (re)writing/righting of the literary canon and the conception of a "newly created genre" and a "womanist" tradition through fictional narratives with autobiographical components. Exploring the complex and ambiguous mother-daughter relationship, she examines the connection between the mother and the mother's land. In addition, Alexander addresses the ways in which the absence of a mother can send an individual on a desperate quest for selfhood and a home space. This quest forces and forges the creation of an imagined homeland and the re-validation of "old ways and cultures" preserved by the mother. Creating such an imagined homeland enables the individual to acquire "wholeness," which permits a spiritual return to the motherland, Africa via the Caribbean. This spiritual return or homecoming, through the living and practicing of the old culture, makes possible the acceptance and celebration of the mother's land. Alexander concludes that the mothers created by these authors are the source of diasporic connections and continuities. 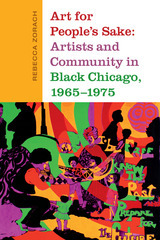 Writing/righting black women's histories as Kincaid, Condé, and Marshall have done provides a clearing, a space, a mother's land, for black women. Mother Imagery in the Novels of Afro-Caribbean Women will be of great interest to all teachers and students of women's studies, African American studies, Caribbean literature, and diasporic literatures. Among field officers in the Confederate Army, colonels had the greatest life-or-death power over the average soldier. Usually regimental commanders who were charged with instructing their men in drill, many also led brigades or divisions, and the influence of an outstanding colonel could be recognized throughout the army. While several books have dealt with the Confederacy’s generals, this is the first comprehensive study of its colonels. 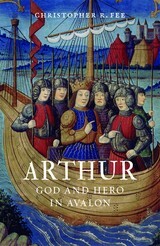 Bruce S. Allardice has undertaken exhaustive research to uncover a wealth of facts not previously available and to fill in many gaps in previous scholarship on the 1,583 men who achieved the rank of full colonel by the end of their careers—including both staff and line officers and members of all armies. A biographical article on each man includes such data as date and place of birth, education, prewar occupation and military experience, service record, instances of being wounded or captured, postwar life and death, and available writings on the officer or manuscript collections of his papers. Throughout, Allardice follows Confederate law and surviving government records in determining an officer’s true rank, and he uses the regimental designations from the compiled service records in the National Archives as the most familiar to researchers. Appendixes list state army colonels, colonels who became generals, and colonels whose rank cannot be proved. In his introduction, Allardice gives readers a clear understanding of the characteristics of a colonel in the Confederacy. He explains how one became a colonel—the mustering process, election of officers, reorganizing of regiments—and exposes the inadequacies of the officer-nominating process, questions of seniority, and problems of “rank inflation.” He highlights such notable figures as John S. Mosby, the “Grey Ghost,” and George Smith Patton, great-grandfather of WWII general George S. Patton, and also provides statistics on such matters as states of origin, age, and casualties. This single-volume compendium sheds new light on these interesting and important military figures and features more standard information than can be found in similar references. Confederate Colonels belongs at the side of every Civil War historian or buff, whether as a research tool or as a touchstone for other readings. This book explores an aspect of organizational life that is at times difficult to acknowledge and often painful to recall. Stories invite reflection and the development of greater understanding of organizational dynamics. This fresh scholarship provides a theoretical framework for discussion. 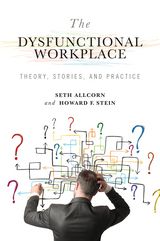 Throughout this book, Allcorn and Stein utilize a psychoanalytically informed perspective to help readers understand why a leader, colleague or friend behaves in ways that are destructive of others and the organization and provides a basis for organizations to survive and thrive in a dysfunctional workplace. Preeminent Civil War historian Frank Vandiver always longed to see an interpretive biography of Jefferson Davis. Finally, more than twenty years after Vandiver expressed that wish, publication of Jefferson Davis, Unconquerable Heart makes such an interpretive biography available. 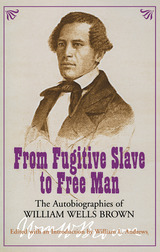 Felicity Allen begins this monumental work with Davis's political imprisonment at the end of the Civil War and masterfully flashes back to his earlier life, interweaving Davis's private life as a schoolboy, a Mississippi planter, a husband, a father, and a political leader. She follows him from West Point through army service on the frontier, his election to the U.S. House of Representatives, his regimental command in the Mexican War, his service as U.S. secretary of war and senator, and his term as president of the Confederate States of America. Although Davis's family is the nexus of this biography, friends and enemies also play major roles. Among his friends intimately met in this book are such stellar figures as Andrew Jackson, John C. Calhoun, Zachary Taylor, Franklin Pierce, Albert Sidney Johnston, and Robert E. Lee. With the use of contemporary accounts and Davis's own correspondence, Jefferson Davis, Unconquerable Heart casts new light upon this remarkable man, thawing the icy image of Davis in many previous accounts. Felicity Allen shows a strong, yet gentle man; a stern soldier who loved horses, guns, poetry, and children; a master of the English language, with a dry wit; a man of powerful feelings who held them in such tight control that he was considered cold; and a home-loving Mississippian who was drawn into a vortex of national events and eventual catastrophe. At all times, "duty, honor, country" ruled his mind. Davis's Christian view of life runs like a thread throughout the book, binding together his devotion to God, his family, and the land. Jefferson Davis, Unconquerable Heart brings Davis to life in a way that has never been done before. The variety of his experience, the breadth of his learning, and the consistency of his beliefs make this historical figure eminently worth knowing. Selma detests my small considerations of strangers. When she catches me nodding at the panhandlers she ignores, or opening doors for women I don't know, she says nothing, but holds herself tall and aloof. She is doing it for the both of us. She is compensating for what she believes is a weakness in her husband that, even in this day and age, a black man still cannot afford. And she may be right. But at this stage of my life I feel not so much black or male, middle-aged or well-to-do or professional, as incomplete. I am son to my father, father to my boys, husband to my unhappy wife, but somehow more lost than found in the mix. A Place between Stations explores the lives of African American characters against the ever-present backdrop of race, but with the myriad complexities of individual minds and souls in the foreground. Two college students, bound by an intense but uneasy friendship, take an increasingly dangerous road trip through Florida. A widow faces her doubts about her long-dead husband by reliving an odd series of train rides she took along the Hudson River shoreline in the 1950s. An angry, fatherless girl roams a city at night, searching for an escape from the ambiguities of childhood. George Mattie, loner and reluctant guide, leads a misfit nineteenth-century circus caravan on an ill-fated journey through the northern Connecticut woods. In A Place between Stations, Stephanie Allen enlarges contemporary notions of what African American lives can be. Varied, to the point, and beautifully composed, this collection will appeal to all audiences. In 1936, the Spanish Foreign Legion was the most well equipped, thoroughly trained, and battle-tested unit in the Spanish Army, and with its fearsome reputation for brutality and savagery, the Legion was not only critical to the eventual victory of Franco and the Nationalists, but was also a powerful propaganda tool the Nationalists used to intimidate and terrorize its enemies. 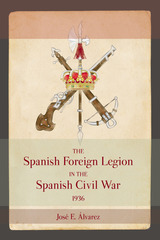 Drawing upon Spanish military archival sources, the Legion’s own diary of operations and relevant secondary sources, Alvarez recounts the pivotal role played by the Spanish Foreign Legion in the initial months of the Spanish Civil War, a war that was not only between Spaniards, but that pitted the political ideology of Communism and Socialism against that of Fascism and Nazism. Eric Anderson and Alfred A. Moss, Jr., offer a new examination of the impact of northern philanthropy on southern black education, giving special attention to the "Ogden movement," the General Education Board, the Rosenwald Fund, and the Episcopal American Church Institute for Negroes. Anderson and Moss present significant reinterpretations of key figures in African American education, including Booker T. Washington, William H. Baldwin, Jr., George Foster Peabody, and Thomas Jesse Jones. Dangerous Donations explores both the great influence of the philanthropic foundations and the important limitations on their power. White racial radicals were suspicious that the northern agencies sought to undermine the southern system of race relations, "training negroes in the vain hope of social equality with whites." This criticism forced the philanthropists and their agents to move cautiously, seeking white southern cooperation whenever possible. Despite repeated compromises, northern philanthropists maintained a vision of race relations and black potential significantly different from that held by the South’s white majority. Blacks challenged the foundations, expressing their own educational agendas in a variety of ways, including demands for black teachers, resistance to any distinctive racial curricula, and, in some cases, support for independent black schools. The millions of dollars in self-help philanthropy contributed by African Americans also indicated their refusal to give complete control of their schools to either the white South or distant philanthropists in the North. No other scholars, according to Louis R. Harlan, "have examined the controversial role of philanthropy with the same coolness, analytical skill, and persistent search for the truth as Eric Anderson and Alfred Moss... [they] have made an outstanding contribution to the history of education for both races in the segregated South of 1900 to 1930." Mark Twain's boyhood home of Hannibal, Missouri, often brings to mind romanticized images of Twain's fictional characters Huck Finn or Tom Sawyer exploring caves and fishing from the banks of the Mississippi River. In City of Dust, Gregg Andrews tells another story of the Hannibal area, the very real story of the exploitation and eventual destruction of Ilasco, Missouri, an industrial town created to serve the purposes of the Atlas Portland Cement Company. 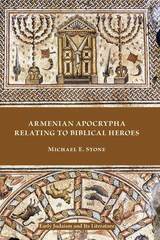 In this new edition, Andrews provides an introduction detailing the impact of this book since its initial publication in 1996. He writes of a new twist in the Ilasco saga, one that concerns the Continental Cement Company’s attempt, not unlike Atlas’s one hundred years earlier, to manipulate the sale of a piece of land near its plant in the town. He explores the uneasy relationship between preservationists and the plant’s CEO and officials in St. Louis; the growing movement to preserve Ilasco’s heritage, including the building of a monument to commemorate the early residents of the town; and the grassroots petition drive and letter-writing campaign that stopped the Continental Cement Company’s machinations. Insane Sisters is the extraordinary tale of two sisters, Mary Alice Heinbach and Euphemia B. Koller, and their seventeen- year property dispute against the nation's leading cement corporation—the Atlas Portland Cement Company. In 1903, Atlas built a plant on the border of the small community of Ilasco, located just outside Hannibal—home of the infamous cave popularized in Mark Twain's most acclaimed novels. The rich and powerful Atlas quickly appointed itself as caretaker of Twain's heritage and sought to take control of Ilasco. However, its authority was challenged in 1910 when Heinbach inherited her husband's tract of land that formed much of the unincorporated town site. On grounds that Heinbach's husband had been in the advanced stages of alcoholism when she married him the year before, some of Ilasco's political leaders and others who had ties to Atlas challenged the will, charging Heinbach with undue influence. To help fight against the local lawyers and politicians who wanted Atlas to own the land, Heinbach enlisted the help of her shrewd and combative sister, Euphemia Koller, by making her co-owner of the tract. In a complex case that went to the Missouri Supreme Court four times, the sisters fiercely sought to hang on to the tract. However, in 1921 the county probate court imposed a guardianship over Heinbach and a circuit judge ordered a sheriff's sale of the property. After Atlas purchased the tract, Koller waged a lonely battle to overturn the sale and expose the political conspiracies that had led to Ilasco's conversion into a company town. Her efforts ultimately resulted in her court- ordered confinement in 1927 to Missouri's State Hospital Number One for the Insane, where she remained until her death at age sixty-eight. Insane Sisters traces the dire consequences the sisters suffered and provides a fascinating look at how the intersection of gender, class, and law shaped the history and politics of Ilasco. The book also sheds valuable new light on the wider consolidation of corporate capitalism and the use of guardianships and insanity to punish unconventional women in the early twentieth century. In 1938, a black newspaper in Houston paid front-page tribute to Thyra J. Edwards as the embodiment of “The Spirit of Aframerican Womanhood.” Edwards was a world lecturer, journalist, social worker, labor organizer, women’s rights advocate, and civil rights activist—an undeniably important figure in the social struggles of the first half of the twentieth century. She experienced international prominence throughout much of her life, from the early 1930s to her death in 1953, but has received little attention from historians in years since. Gregg Andrews’s Thyra J. Edwards: Black Activist in the Global Freedom Struggle is the first book-length biographical study of this remarkable, historically significant woman. Edwards, granddaughter of runaway slaves, grew up in Jim Crow–era Houston and started her career there as a teacher. She moved to Gary, Indiana, and Chicago as a social worker, then to New York as a journalist, and later became involved with the Communist Party, attracted by its stance on race and labor. She was mentored by famed civil rights leader A. Philip Randolph, who became her special friend and led her to pursue her education. She obtained scholarships to college, and after several years of study in the U.S. and then in Denmark, she became a women’s labor organizer and a union publicist. In the 1930s and 1940s, she wrote about international events for black newspapers, traveling to Europe, Mexico, and the Soviet Union and presenting an anti-imperialist critique of world affairs to her readers. Edwards’s involvement with the Loyalists in the Spanish Civil War, her work in a Jewish refugee settlement in Italy, and her activities with U.S. communists drew the attention of the FBI. She was harassed by government intelligence organizations until she died at the age of just fifty-five. Edwards contributed as much to the radical foundations of the modern civil rights movements as any other woman of her time. This fascinating biography details Thyra Edwards’s lifelong journey and myriad achievements, describing both her personal and professional sides and the many ways they intertwined. Gregg Andrews used Edwards’s official FBI file—along with her personal papers, published articles, and civil rights manuscript collections—to present a complete portrait of this noteworthy activist. An engaging volume for the historian as well as the general reader, Thyra J. Edwards explores the complete domestic and international impact of her life and actions. Searching for Their Places is a collection inspired by the Fifth Southern Conference on Women’s History. The essays in this volume are particularly astute in assessing how southern women, in the course of “searching for their places,” have individually or collectively sought to empower themselves. The essays, written by outstanding historians in this field, represent some of the freshest and most exciting scholarship about women in the South. They convincingly illustrate how the national experience looks different when southern women become the focus. The essayists use extensive analyses of primary source materials to examine a variety of issues that have confronted women in the South from the days of English colonization through the civil rights struggles of the post–World War II era. The collection is well balanced in its periodization, with one essay on the seventeenth century, four on the antebellum years, one on the Civil War, three on the immediate postbellum era, and four based in the twentieth century. Studying women of different colors, backgrounds, and stations across the region and across four centuries, Searching for Their Places will appeal to historians, the general reader, and anyone interested in women’s studies. During the nineteenth century, as millions of British citizens left for the New Worlds, hearth and home were physically moved from the heart of the empire to its very outskirts. In Domesticity, Imperialism, and Emigration in the Victorian Novel, Diana Archibald explores how such demographic shifts affected the ways in which Victorians both promoted and undermined the ideal of the domestic woman. Drawing upon works by Elizabeth Gaskell, Anthony Trollope, Samuel Butler, Charles Dickens, Charles Reade, and William Makepeace Thackeray, the author shows how the ideals of womanhood and home promoted by domestic ideology in many ways conflict with the argument in favor of immigration to imperial destinations. According to Coventry Patmore and John Ruskin, and some of their contemporaries, woman’s natural domain is the home, and a woman’s fulfillment lies at the hearthside. But would any hearth do as long as it was hallowed by the presence of a domestic goddess, or was this Victorian definition of home more discriminating? Although the ideal of the domestic woman was certainly affected by these mass movements, in many texts the definition of her becomes narrow and unattainable, for she must not only be an “angel,” but she must also be English and remain at home. A rather predictable pattern emerges in almost every Victorian novel that encounters the New Worlds: if an English hero is destined for a happy ending, he either marries an English angel-wife and brings her with him to the New World or, more often, abandons thoughts of settling abroad and returns to England to marry and establish a home. This pattern seems to support the supposedly complementary ideologies of domesticity and imperialism. England, according to imperialist dogma, was the righteous center of a powerful empire whose mission was to “civilize” the rest of the world. The purpose of the domestic “angel” was to provide the moral center of a sacred space, and what is more sacred to such a scheme than English soil? A true “angel” should be English. Despite the mass migrations of the nineteenth century, home remains fundamentally English. told her to remain an untainted idol beside an English hearthside. The domestic ideal, then, because of its firm alliance with nationalism, seems to have been more in conflict with imperialistic ideology than heretofore supposed. Ever since Commodore Perry sailed into Uraga Channel, relations between the United States and Japan have been characterized by culture shock. Now a distinguished Japanese historian critically analyzes contemporary thought, public opinion, and behavior in the two countries over the course of the twentieth century, offering a binational perspective on culture shock as it has affected their relations. In these essays, Sadao Asada examines the historical interaction between these two countries from 1890 to 2006, focusing on naval strategy, transpacific racism, and the atomic bomb controversy. For each topic, he offers a rigorous analysis of both American and Japanese perceptions, showing how cultural relations and the interchange of ideas have been complex—and occasionally destructive. Culture Shock and Japanese-American Relations contains insightful essays on the influence of Alfred Mahan on the Japanese navy and on American images of Japan during the 1920s. Other essays consider the progressive breakdown of relations between the two countries and the origins of the Pacific War from the viewpoint of the Japanese navy, then tackle the ultimate shock of the atomic bomb and Japan’s surrender, tracing changing perceptions of the decision to use the bomb on both sides of the Pacific over the course of sixty years. In discussing these subjects, Asada draws on Japanese sources largely inaccessible to Western scholars to provide a host of eye-opening insights for non-Japanese readers. After studying in America for nine years and receiving degrees from both Carleton College and Yale University, Asada returned to Japan to face his own reverse culture shock. His insights raise important questions of why people on opposite sides of the Pacific see things differently and adapt their perceptions to different purposes. This book marks a major effort toward reconstructing and understanding the conflicted course of Japanese-American relations during the first half of the twentieth century. Beginning with America’s first newspaper, investigative reporting has provided journalism with its most significant achievements and challenging controversies. Yet it was an ill-defined practice until the 1960s when it emerged as a potent voice in newspapers and on television news programs. In The Evolution of American Investigative Journalism, James L. Aucoin provides readers with the first comprehensive history of investigative journalism, including a thorough account of the founding and achievements of Investigative Reporters and Editors (IRE). Aucoin begins by discussing in detail the tradition of investigative journalism from the colonial era through the golden age of muckraking in the 1900s, and into the 1960s. 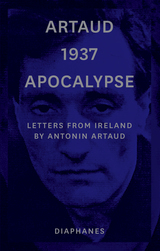 Subsequent chapters examine the genre’s critical period from 1960 to 1975 and the founding of IRE by a group of journalists in the 1970s to promote investigative journalism and training methods. Through the organization’s efforts, investigative journalism has evolved into a distinct practice, with defined standards and values. Aucoin applies the social-moral development theory of Alasdair MacIntyre—who has explored the function, development, and value of social practices—to explain how IRE contributed to the evolution of American investigative journalism. Also included is a thorough account of IRE’s role in the controversial Arizona Project. After Arizona Republic reporter Don Bolles (a founding member of IRE) was murdered while investigating land fraud, scores of reporters from around the country descended on the area to continue his work. The Arizona Project brought national attention and stature to the fledgling IRE and was integral to its continuing survival. Emerging investigative reporters and editors, as well as students and scholars of journalism history, will benefit from the detailed presentation and insightful discussion provided in this book. When presidential candidate Jimmy Carter advocated defense budget cuts, he did so not only to save money but also with the hope of eventually abolishing nuclear weapons. Three yearslater, when President Carter announced his support of full-scale development of the MX missile and modernization of NATO’s Long-Range Theater Nuclear Force, it marked a dramatic policy shift for his administration. In light of Carter’s cost-cutting in the first year of his administration, previous observers have attributed Carter’s subsequent shift either to the “shocks of 1979”—the Soviet Union’s move into Afghanistan and the seizure of power by Islamic revolutionaries in Iran—or to domestic political pressure, such as interest group activity, executive-legislative bargaining, or interbureaucratic conflict. Brian Auten now argues that these explanations only partially explain this midterm policy change. In Carter’s Conversion, Auten reveals how strategic ideas and studies, allied relations, and arms control negotiations each worked to deflect Carter’s initial defense stance away from the policy path suggested by the prevailing international military environment. He also shows how the administration’s MX and Long-Range Theater Nuclear Force decisions subsequently hardened following significant adjustments to these three variables. Employing the approach to international relations known as neoclassical realism, Auten demonstrates that Carter reassessed his strategic thinking and revised his policy stance accordingly. Integrating declassified documents, interviews, and private archives with a mountain of secondary sources, he provides a historical analysis of defense policy transformation over the first three years of the Carter administration and a detailed examination of how Carter and his national security team addressed challenges posed by the expansion of Soviet military power. Charles K. McClatchy was twenty-five when he inherited The Sacramento Bee from his father, and his ensuing career as the paper’s editor extended well beyond the newsroom. 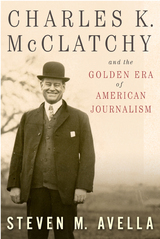 Until his death in 1936, McClatchy was a consistent advocate for Progressive politics, a crusader for urban reform, a staunch isolationist, and a voice for Northern California. This biography explores his career as the long-time editor of the Bee in a work that weaves the history of Northern California with that of American newspapers.